What is FATCA ? The Foreign Account Tax Compliance Act, or FATCA, is a law that was enacted in March 2010. 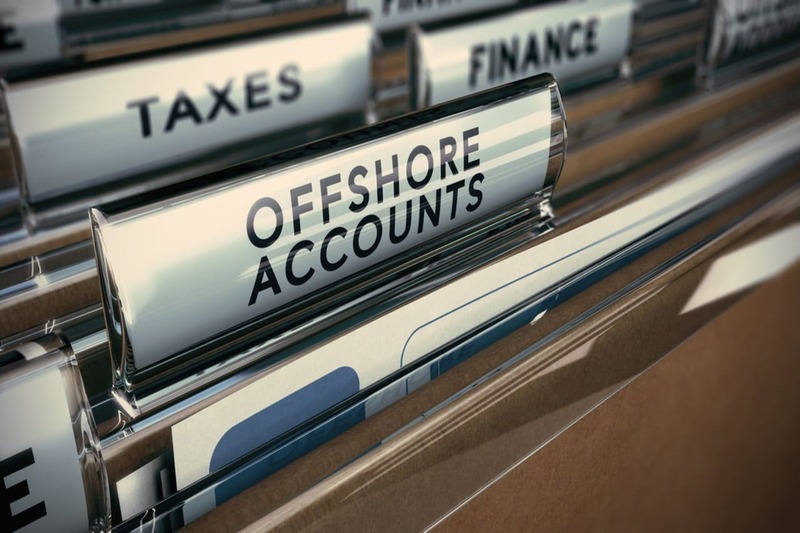 The purpose of this act is to prevent tax evasion involving offshore accounts, as well as to promote better overall tax compliance among people with foreign financial assets. The provisions of this law have a significant effect on individuals and companies with assets overseas, as well as foreign financial institutions. Failing to comply with this law may lead to expensive penalties. The IRS defines a foreign financial institution as an entity based in a foreign country that primarily engages in the trading of securities, commodities or partnership interests, as well as holds financial assets for others or accepts deposits from customers as a bank or similar business. Under this definition, many different types of entities are foreign financial institutions. Common examples include foreign mutual funds, brokers, banks and hedge funds. FATCA consists of three main provisions that affect foreign financial institutions and taxpayers with an interest in foreign financial assets. Under FATCA, foreign financial institutions must provide the IRS with information about any financial accounts owned by United States taxpayers. Information provided must include the account balances, transaction receipts and withdrawal history. If a foreign financial institution fails to comply with this requirement, the IRS will withhold 30 percent in taxes on any income earned by U.S. financial assets held by that institution. FATCA also requires U.S. taxpayers to comply with certain disclosure requirements. Under this law, any U.S. taxpayer who owns foreign financial assets with a value that exceeds a certain amount must report the existence of the assets in question to the IRS. If a taxpayer fails to report the existence of these assets, the IRS will impose a 40 percent penalty, calculated and based on the unreported income. Prior to the implementation of FATCA, some U.S. investors were able to use a tax loophole to avoid paying taxes on dividends. FATCA closes this loophole. Under FATCA, foreign financial institutions can either elect to become “participating” institutions, or they can submit to a 30 percent withholding tax. When a foreign financial institution decides to be a participating institution, it enters into an agreement with the IRS in which it promises to comply with FATCA requirements. In addition to reporting specific information about every account held by a U.S. taxpayer on an annual basis, FATCA also requires participating institutions to comply with any requests from the IRS for additional information about an account. Because of the penalties imposed by the IRS when a foreign financial institution fails to comply with the terms of FATCA, most institutions that have significant relationships with U.S. taxpayers opt to become participating institutions in order to protect their own interests. Under the provisions of FATCA, U.S. taxpayers must report the existence of certain foreign financial assets on Form 8938, the “Statement of Specified Foreign Financial Assets.” This form must be a part of the taxpayer’s annual income tax return. The IRS defines specified foreign financial assets as financial accounts that are maintained by any foreign financial institution. Common examples of qualifying accounts include pensions, investment accounts, savings accounts and checking accounts. If you aren’t sure whether your accounts are included in this description, consult a tax professional for assistance. What is FATCA Filing Thresholds in the U.S. If you live in the United States and you are unmarried, you are required to file Form 8938 if your specified foreign financial assets have a total value of more than $50,000 on the final day of the tax year. You are also required to file this form if the total value of these assets exceeds $75,000 at any point during the tax year. If you live in the United States and you file a joint return with a spouse, you are required to file Form 8938, if your specified foreign financial assets have a total value greater than $100,000 on the final day of the tax year. You are also required to file this form if the value of these assets exceeds $150,000 at any point during the tax year. If you live outside the United States, your filing thresholds are more lenient. For unmarried taxpayers and taxpayers who file separately from a spouse, Form 8938 is a requirement when the total value of specified foreign financial assets is greater than $200,000 on the final day of the year. You must also file this form if the total value of your foreign financial assets exceeds $300,000 at any point in the tax year. For married taxpayers who file a joint return, Form 8938 is required if the total value of foreign financial assets on the final day of the year exceeds $400,000. The form will also be required if the value of these assets is greater than $600,000 at any point in the tax year. Before the enactment of FATCA, many foreign financial institutions were happy to maintain strict confidentiality for their clients. However, because of FATCA’s requirements, many foreign financial institutions are now asking their clients to waive their rights to confidentiality by signing a legal document. Although no one is required by law to sign this document, taxpayers often find that the institution won’t be willing to work with them if they refuse to sign. In some cases, the IRS may learn that a taxpayer has an interest in foreign assets of an unknown value. Typically, the IRS will send the taxpayer a written request for additional information when this occurs. If you receive this request and you don’t provide the IRS with enough information to determine the total value of your assets accurately, the IRS will presume that you meet the filing threshold for Form 8938, and you will be subject to all of the associated requirements. As a U.S. taxpayer, you may wonder how important it is for you to comply with the terms of FATCA. However, if you fail to comply with this law, you could face significant penalties from the IRS. If you fail to file an accurate Form 8938 by the required due date, you may owe a penalty of up to $10,000. The penalty will be the same whether you are unmarried or file a return jointly with a spouse. After the IRS discovers that you have failed to file a required Form 8938 accurately and on time, you will receive a notice in the mail informing you of your failure to file. At this point, you will need to file the form within 90 days to avoid additional penalties. If you fail to file within this timeframe, the IRS may impose an additional penalty of up to $10,000 for every 30 days that passes. The maximum additional penalty for this violation is $50,000. If you underpay the tax you owe as a result of a transaction that involved a foreign financial asset you didn’t disclose, you may owe an additional penalty. The penalty for this violation is equal to 40 percent of the amount of the underpayment. If you underpay tax you owe because of a transaction involving a foreign financial asset and you are guilty of fraud, the penalty you owe will be even greater. The penalty for this violation is equal to 75 percent of the amount of the underpayment. In some cases, failing to comply with the requirements of FATCA may even lead to criminal penalties, such as additional fines or even time in prison. Criminal penalties may apply if you fail to file Form 8938, fail to report a specified foreign financial asset or underpay your tax related to a transaction involving one of these assets. The penalties for failing to comply with the terms of FATCA can be severe. For this reason, you should do everything in your power to avoid problems involving this law. The easiest way to ensure that you never owe any penalties for violating FATCA is to understand the law’s requirements and file your required forms accurately and on time. You should also pay any tax you owe before the due date. If you have already failed to file Form 8938, or if you failed to disclose a specified foreign financial asset on a filed form, you may still be able to avoid penalties. In order to avoid penalties for these violations, you must show that you have a reasonable explanation. It is up to the IRS to decide whether the evidence you present is sufficient to prove that your failure to comply was due to reasonable cause. The IRS handles these issues on a case-by-case basis. If you discover that you did not file Form 8938 when it was a requirement, you need to take action as quickly as possible to reduce the likelihood of harsh penalties. If you make an effort to come into compliance before the IRS discovers your mistake, they are more likely to handle your case with lenience. Nonetheless, filing delinquent forms does not guarantee that the IRS won’t impose any penalties. Avoiding penalties is easier for taxpayers who reported the income related to foreign accounts, but simply failed to file the proper disclosures. U.S. taxpayers with foreign-held assets may also need to file the Report of Foreign Bank and Financial Accounts, or FBAR. Although FBAR and Form 8938 serve similar purposes, they have different filing requirements. In many cases, taxpayers with foreign accounts or assets must file both of these forms. Filing one of these forms does not release you from the responsibility to file the other if it is a requirement. In addition, the penalties for failing to file FBAR are even more severe than those imposed on taxpayers who fail to file Form 8938. If you have failed to file both forms, your penalties could be incredibly high. In cases where a taxpayer has willfully failed to report foreign assets, significant civil and criminal penalties may apply. Currently, the IRS offers a program designed to help these taxpayers reduce their penalties and become compliant with all applicable regulations. Although the penalties associated with this program are high, the program allows taxpayers to avoid criminal prosecution. You must go through a pre-screening by the IRS before you can participate in the Offshore Voluntary Disclosure Program. If you qualify for the program, you will need to pay a penalty equal to 20 percent of all underpayments of tax related to your undisclosed offshore accounts. In addition, you will pay an offshore penalty, which is typically equal to 27.5 percent of the highest total balance of your foreign assets during the period your disclosure covers. In rare cases, you may qualify for a reduced offshore penalty of 12.5 percent or even 5 percent. Taxpayers participating in the Offshore Voluntary Disclosure Program may also owe failure to file and failure to pay penalties. In addition to paying all of these penalties, you must pay all of your outstanding tax liabilities and interest. The requirements of FATCA and other regulations affecting foreign financial assets are complex, and the penalties for failing to comply with these requirements are steep. For this reason, many taxpayers affected by these laws choose to consult a tax professional to help them determine which requirements apply. A tax professional can also help you complete all of the required paperwork accurately so you don’t have to worry about owing any penalties. If you have already violated one of the IRS’ regulations with regard to foreign financial assets of if you have any additional questions about what is FATCA, a tax professional can help you explore your options and find the best way to resolve the issue. To learn more, please read our article on IRS Form 8938.